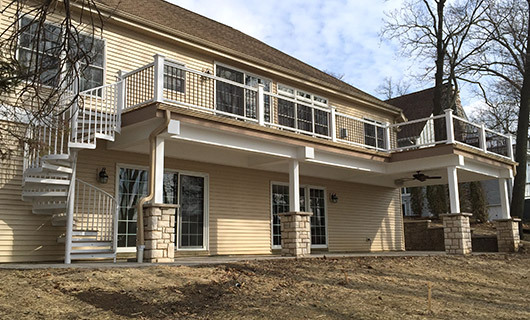 At Renz Construction, we understand that the exterior of your home is just as important as the interior. 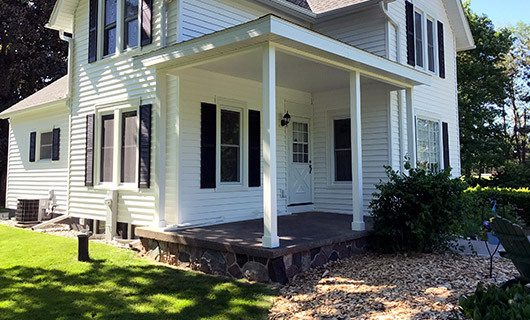 Creating functional outdoor spaces, beautiful entryways, and custom garages are a great way to not only improve the property value and beauty of your home, they also add an incredible amount of function and utility to the property. 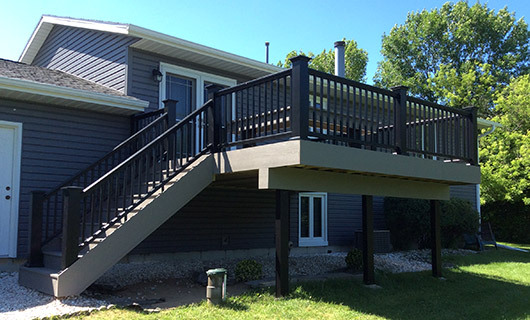 Take a look below to see some of our decks, custom entryways, and garage projects! 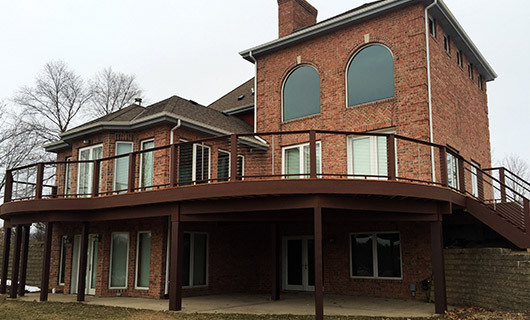 One way to really enhance the exterior of a home is to add a custom deck or patio. Not only does this add to usable square footage to the home, but it also adds to the beauty and comfort of the space. 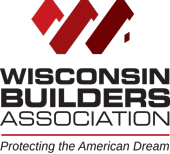 Take advantage of Wisconsin’s amazing spring, summer, and fall seasons by building a usable living space outdoors. 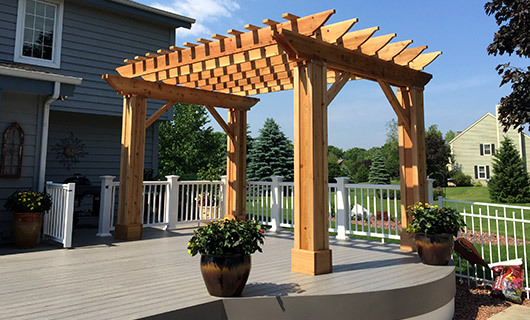 Adding a custom deck or patio is the perfect way to marry the comforts of home with the great outdoors. 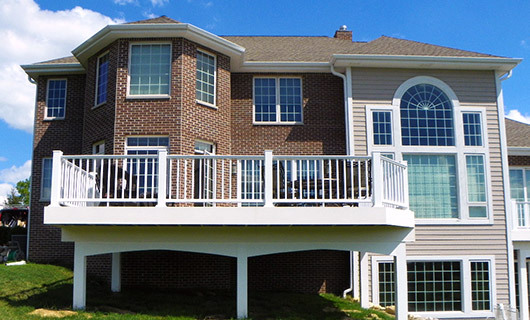 Our decks and patios are truly customizable – we can add everything from custom seating to pergolas to stone barbecues. 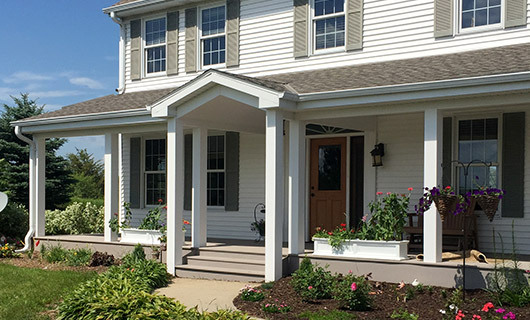 Add any interior amenity to the outside of your home to enhance your outdoor living options! Wireless speakers, custom lighting, intricate brickwork, and outdoor kitchens are only a few ways you can turn your home’s exterior into an amazing outdoor experience. 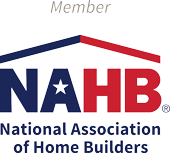 Take a look at the projects below and let your imagination run wild! 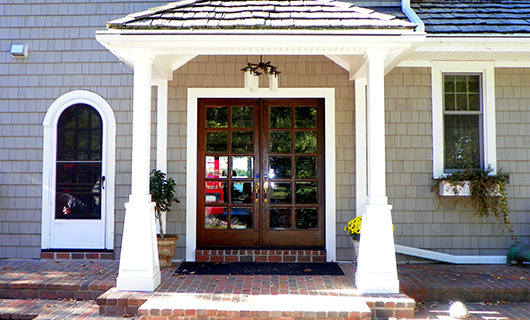 An inviting and functional entryway creates a wonderful first impression, but can also offer great value to the home! Our entryways marry the function of technology like security systems and wireless speakers with the beauty of custom ceilings and bold pillars. 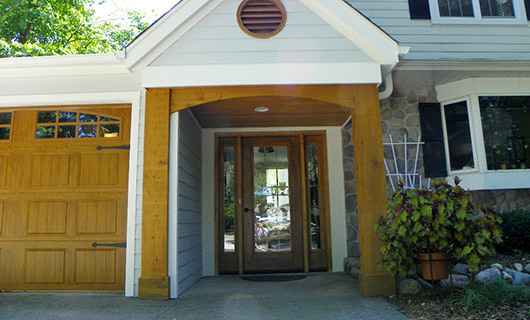 Look through some of the projects below to see just how beautiful and entryway can truly be! 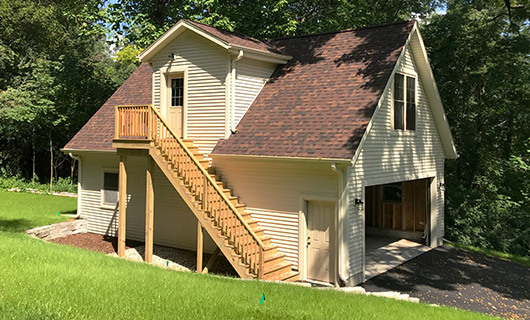 Garages are underrated – we keep our belongings there, we store our lawn equipment and seasonal decorations there, and we maintain our hobbies there. 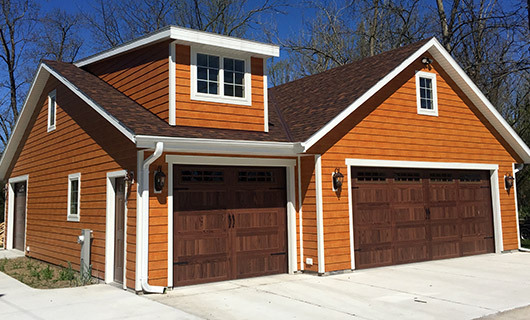 From restoring classic cars to woodworking to DIY crafts, garages are so much more than covered parking spaces. 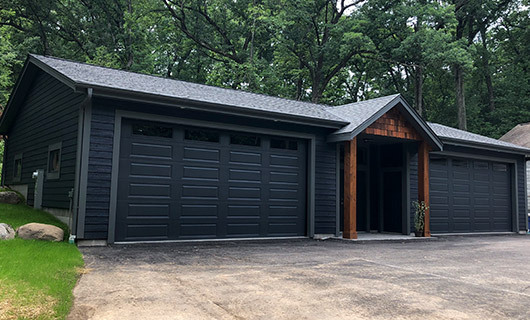 You spend time and money maintaining your cars and belongings, so why not build a garage that’s functional at beautiful? 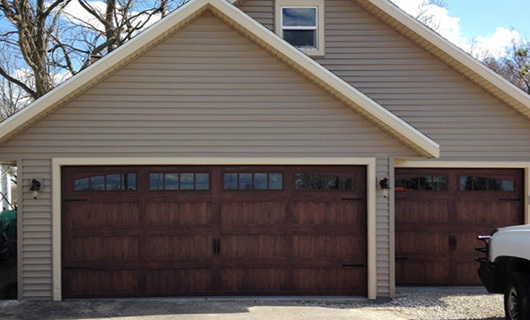 Take a look through the projects below to see how we marry advanced technology with traditional function to create the ultimate garage experience!